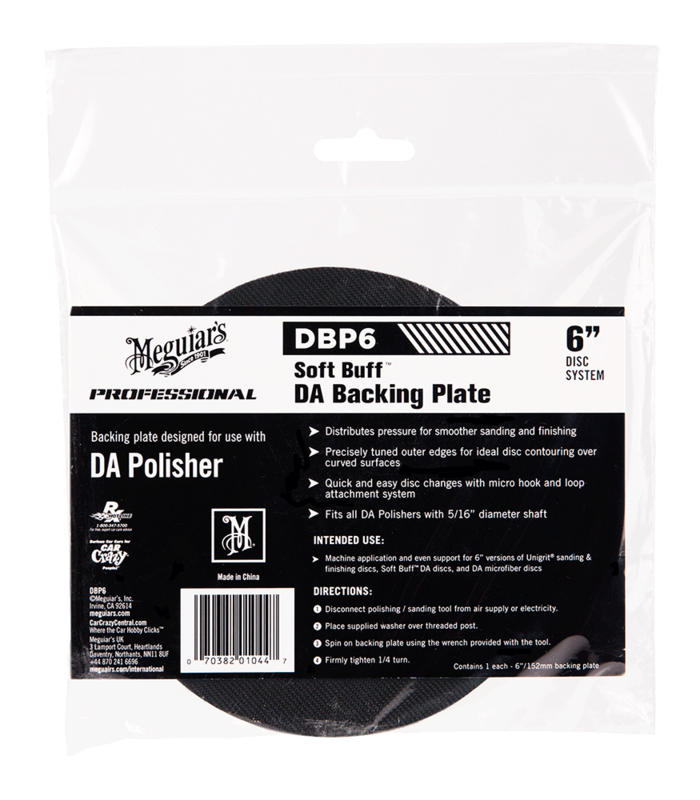 Home > Detailing Tools > > Meguiars DBP6 DA Backing Plate - 6"
Meguiars DBP6 DA Backing Plate 6", with precisely tuned outer edges for ideal disc contouring over flat and curved surfaces, distributes pressure for smoother sanding. and finishing. Disc changes are quick and easy with micro hook and loop attachment system. Fits all DA Polishers with 5/16" diameter shaft.